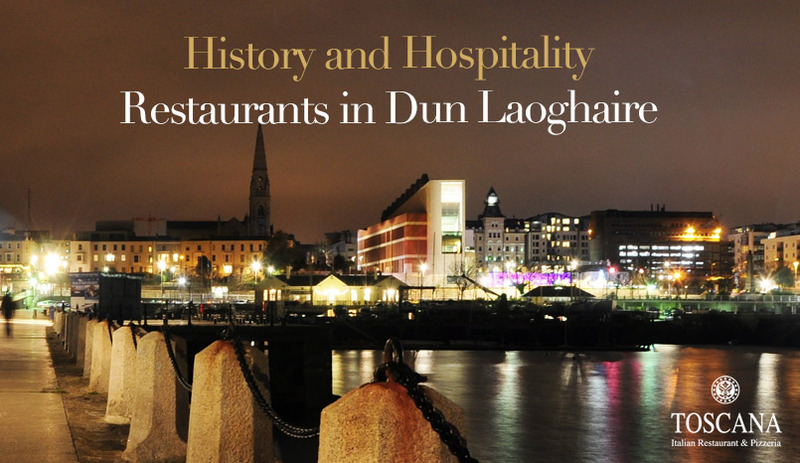 Dun Laoghaire has a piece of everything: history, culture, hospitality and, of course, great cuisine. This picturesque coastal town is oozing with history and heritage. The name comes from a fort or ‘Dun’ built by the famous king Laoire in 480 AD. In 1821, the town’s name was changed from Dunleary to Kingstown in honour of king George IV’s visit. In 1920 the original name was restored, this time in its proper Gaelic. Of course, the town is famous for its harbour which was established in 1817 and has been the hub of marine activity over the years. Dun Laoghaire has numerous well-established restaurants which play a part in making the town such a popular tourist destination. In this post we’ll talk about 3 well known restaurant in Dun Laoghaire! Caviston’s Seafood Restaurant is the first restaurant on the list. 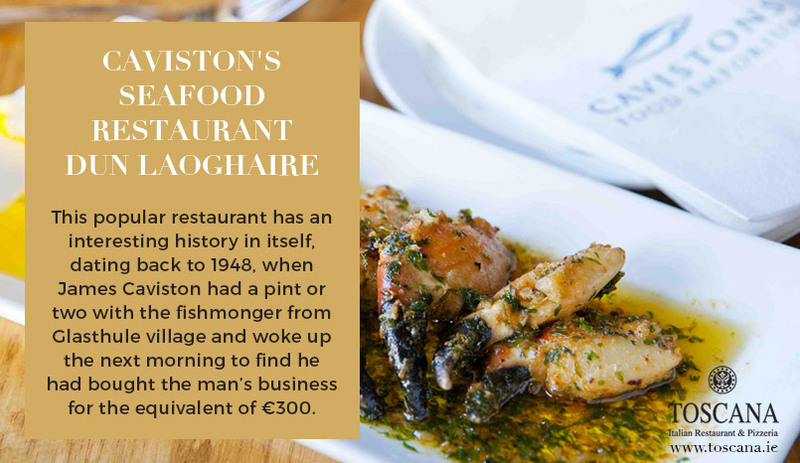 This popular restaurant has an interesting history in itself, dating back to 1948, when James Caviston had a pint or two with the fishmonger from Glasthule village and woke up the next morning to find he had bought the man’s business for the equivalent of €300. The business is now run by James’ nephew, Peter Caviston. In 1996, Caviston’s expanded its seafood business into hospitality and Caviston’s Seafood Restaurant opened its doors. Offering the freshest seafood in Dublin, the restaurant has enjoyed reams of critical acclaim. Enjoy the intimate and chic atmosphere together with a seafood only menu which sources daily from the freshest fish at Caviston’s Food Emporium next door. 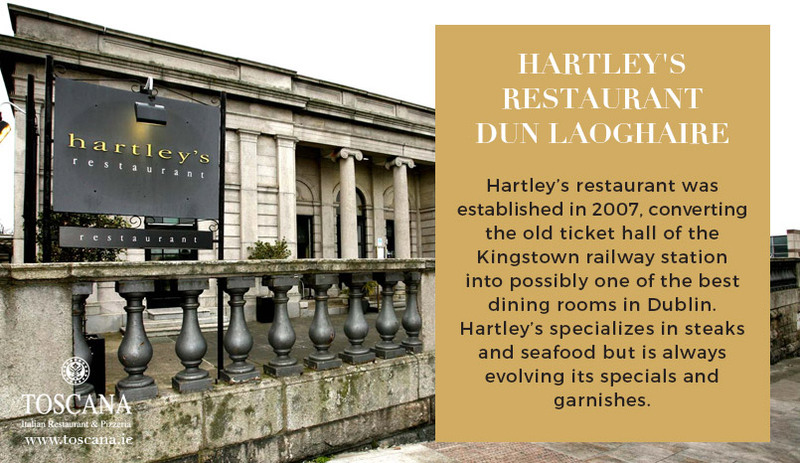 Hartley’s restaurant was established in 2007, converting the old ticket hall of the Kingstown railway station into possibly one of the best dining rooms in Dublin. Hartley’s specializes in steaks and seafood but is always evolving its specials and garnishes. Its high ceilings and huge windows offer a unique dining ambience. An integral part of the town’s vibrant waterfront scene, Hartley’s looks like it is here to stay. And, of course, there is Toscana’s. Established in 2001, we are an award-winning restaurant that specializes in authentic Italian cuisine from the historical Toscana region of Italy. Enjoy picturesque sea views over the famous bay and a variety of menus that offer the best in Italian and European food. All our produce is grown organically at our farm in Co. Wicklow. Genuine Italian recipes combined with the freshest, healthiest Irish ingredients guarantee a culinary experience that is second to none in Dublin and, indeed, Ireland. Visitors to Dun Laoghaire often remark on its continental feel. We are proud to contribute to this European vibe. Enjoy a little piece of Italy in the classy, sophisticated surroundings of Toscana’s. We promise a memorable culinary adventure that will have you coming back for more. Dun Laoghaire is a vibrant Irish town, rich in heritage and culture. Its restaurant scene is very much a part of this culture. These are only just three of the restaurants you will find here. So, check out for yourself the choice of cuisines the town has to offer and make the journey. We hope to see you at Toscana’s soon and you can book a table in advance by calling +353 1 2300 89 or book online now!